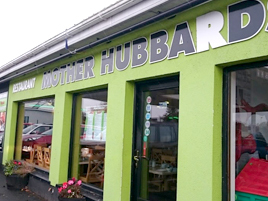 Mother Hubbard’s, Irelands most famous Truck stop and Roadside Restaurants! Since 1977, we have been committed to providing a friendly, relaxed atmosphere in which our customers can enjoy a great dining experience. We offer a well-balanced menu which will please any group, large or small, at any time of day. We source most of our food from local suppliers. As we expand our operations around Ireland, our focus remains the same – good food, good service and great prices.